The Chemistry Minor provides a solid background in Chemistry for students who pursue other major fields and careers in STEM and the health sciences. A minor in Chemistry consists of a year of General Chemistry plus student selection from a variety of upper division courses. The minor is open to all undergraduates except Chemistry majors, and is of particular value to students majoring in fields related to chemistry, such as biology, psychology, pre-professional programs in the health sciences and engineering. Students planning to complete requirements for a Chemistry minor must make all arrangements with their advisor as well as the chairperson of the Chemistry Department. This program is designed for students preparing to enter careers in chemical research, industry, medicine, or any number of fields that require strong analytical skills, math skills, and scientific literacy. Students preparing for advanced study at the master’s or doctoral level are advised to pursue a minor which offers preparation in all areas of chemistry. Students establish a core foundation by completing our general chemistry sequence (CH201, 202, and 203) with corresponding labs. Students will then deepen their understanding of chemistry by enrolling in organic chemistry (CH334, 335, and 336) and Physics (Ph221, 222, and 223). Further courses provide advanced training in specific areas of instrumentation, computation and scientific communication. 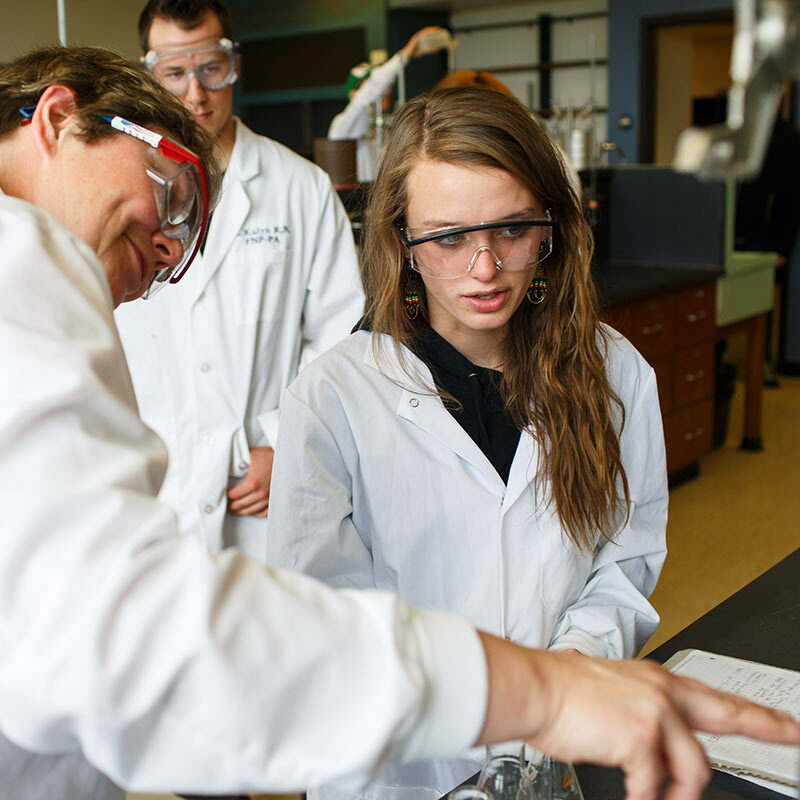 Many students are delighted to find that an Chemistry minor complements their major. Whether a student is getting a degree in Business, Environmental Science, or in Medical Fields, a Chemistry minor degree can enhance a wide range of field-specific studies and make a graduate more agile and competitive on the job market.